For people visiting Egypt in rush, we designed this itinerary to include Cairo, Aswan, Luxor, and Nile cruise. 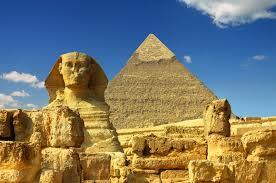 Arrival in Cairo, meet and assist by our representative, transfer to hotel and leisure time. Transfer to Cairo airport to fly south to Aswan. Meet and assist, then transfer to your cruise. 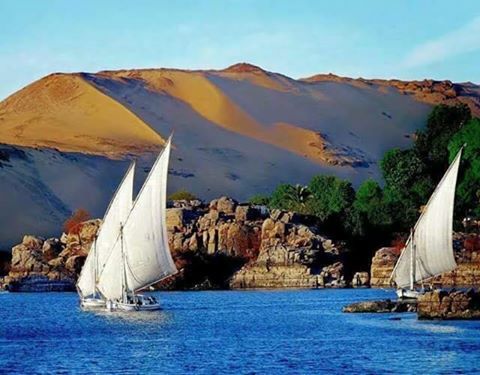 After lunch, you will take a felucca sailboat for a ride around the Elephantine island. Today, you will explore the beautiful city of Aswan. You will visit the granite quarry of the unfinished obelisk. Then proceed to the high dam which was built during time of Nasser. 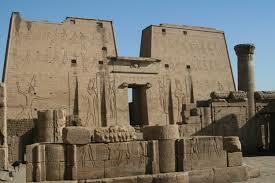 You end your tour with one of the beautiful temples of Egypt, temple of Isis at the island of Philae. Back to the ship. The ship set sail to Kom Ombo. Visit the temple of Kom Ombo, which is dedicated to Horus and Sobek. This morning, you will take the horse carriage to visit the temple of Edfu, which is dedicated to the falcon headed god Horus. Back to the ship to set sail to Luxor via the lock of Esna. Today, you will drive to the west bank of Luxor to visit the valley of Kings, which was dedicated to the tombs of the royal pharaohs. Kings of the New Kingdom cut their tombs deep in the rock to hide them from the tomb robbers and to ensure very safe journey to the after life. Then proceed to the unique temple of the female pharaoh Hatsheput. You end your tour with a photo stop at the giant colossi of Memnon. Transfer to Luxor airport for one hour flight to Cairo. Meet and assist in Cairo airport and transfer to hotel. 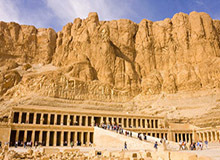 Today, you will start your tours with a visit to the impressive Egyptian museum and old Cairo area. 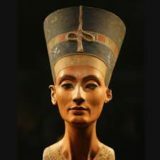 In the museum you will enjoy the well made handy crafts and statues from different periods of the Egyptian history, with the fabulous treasure of the golden pharaoh Tutankhamen. Then proceed to the Old Cairo Suburb to explore some of Coptic churches and the Islamic mosques, then you will visit the largest bazaar in the middle east, Khan El Khalili. The price is $880 per person in twin/double room. 5* Hotel in Cairo, B.B basis. 5* Nile cruise, F. B basis. Flight ticket from Cairo to Aswan. Flight ticket from Luxor to Cairo. All transfers in air-conditioned tourist coach. Entrance fees for all mentioned sites. Tips for guide, drivers and cruise crew. Egyptian pound, US Dollar, Sterling, and Euro are accepted. Children under 12 years get 50% discount.